Actor Mads Mikkelsen admits that he "got lost" when Hideo Kojima tried to explain the plot of Death Stranding to him. With the exception of Final Fantasy series Metal Gear Solid has one of the most convoluted plots in video game history. Director Hideo Kojima has become somewhat known for this, and his latest game, Death Stranding, appears to follow the trend, as even Mads Mikkelsen, who will be the motion-capture "star" of the game, admits he "got lost" when Kojima tried to tell him the plot. "He was trying to tell me the whole plot of the game, and it's so elaborate that ... I mean, I got lost," Mikkelsen said in an interview at Comic Con Saudi Arabia. "But I really wanted to learn more." 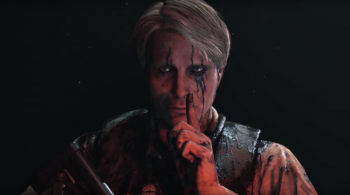 Mikkelsen added that when he started to work on Death Stranding, he had some concerns about the type of motion capture technology that developer Kojima Productions would be using. It was different from technology he had used in the past, but was reassured by the fact that Kojima himself was involved for the entire process. Death Stranding, which releases exclusively for the PlayStation 4, will also star The Walking Dead's Norman Reedus.